Product prices and availability are accurate as of 2019-04-23 16:46:27 EDT and are subject to change. Any price and availability information displayed on http://www.amazon.com/ at the time of purchase will apply to the purchase of this product.
? ADJUSTABLE TEMPERATURE CONTROL WELDING IRON SOLDERING KIT - The built in variable thermostat allows for adjusting the temperature on our portable soldering gun high or low between 200 °c - 450 °c. 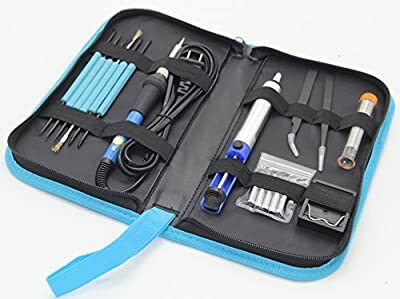 Good soldering iron kit for use to fix electrics / small electronics, aluminum and even wood burning! Heavy duty, guaranteed to perform better than cheap soldering irons. Best soldering station. ? 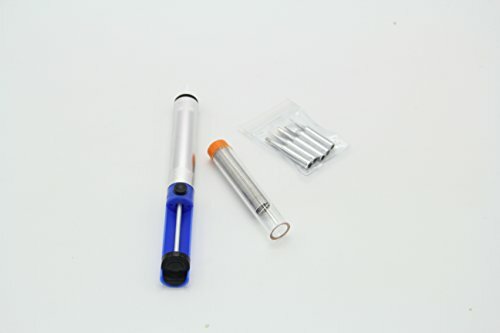 NEW IMPROVED FAST HEATING TECHNOLOGY SOLDERING IRON KIT - with an upgraded metal pencil torch design, the Soldertek electric soldering kit / iron kit with 60 watts 110 volts of power provides more efficient core heat dissipation than 30 watt solder guns for better heat distribution to prevent overheating and accidental finger burns! The iron should be used with Rosin Flux Paste and Copper Tinner/cleaner (not included). 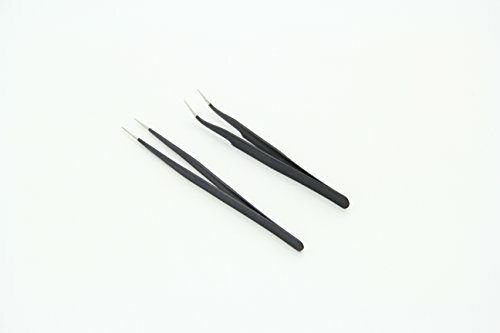 *Do not touch knife/fine tips or accessories until cool ? SOFT GRIP HANDLE - our silver solder iron' provides improved comfort and non-slip grip for our soldering kit especially for kids. 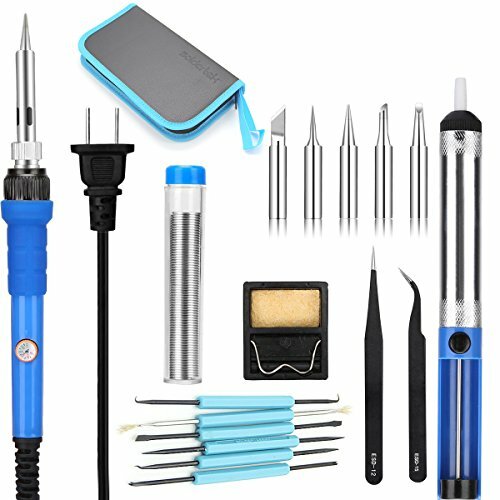 One of the best soldering iron kits on Amazon! Works great with helping hands. ? 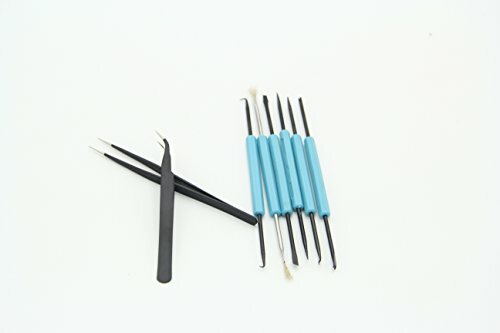 MULTI-PURPOSE PRODUCT - Full starter soldering kit tool set does not require a separate soldering station and can be used for all your soldering iron kit needs such as electronics, guitar repair, industrial jewelry soldering/ making by jewelers, DIY, and more! 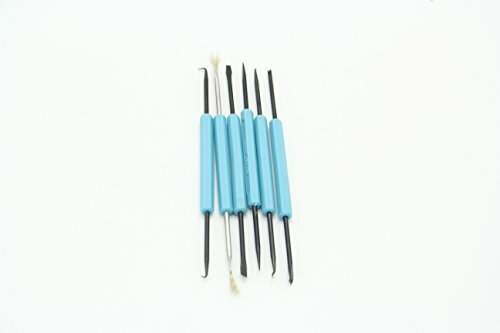 Great practice training Soldering kit for beginners just learning. It also includes a de-soldering vacuum sucker pump for your cold desoldering needs. Suitable for professionals also and great gift for men. A must for soldering projects. ? STYLISH LEATHER TOOL POUCH INCLUDED (EVERYTHING YOU NEED) - Complete soldering kit: 5 soldering iron (tin/lead) needle tips, 6 soldering assist aid tools, 2 anti-static tweezers (ESD 10 & ESD 15), 1 pack tin solder wire tube, 1 hands free soldering stand/holder with a soldering iron sponge cleaner (*please wet cleaning sponge before use), 1 desoldering extractor pump wick, all neatly packed in a stylish leather pouch bag for your soldering iron kit.